Hi Harry, I have a spare Justboom Amp which i can send you, though I do not have a spare remote. @chris_rush has said he can send you a remote. I have the Smart Remote now. Ropieee sees it as OSMC but it crashes when I try to use it. I’m not sure what you’re trying to do here. Looking at the logs I see that you’ve installed an extension inside RoPieee. I’m not able to help with that as it interferes with RoPieee’s software. So to be clear: there is no need to install an extension. You do however need to enable RoPieee’s own extension. Don’t know what happened there - I got the Smart Remote, plugged in the USB receiver and restarted the Raspberry Pi. Ropieee then showed a new remote, which it identified as OSMC. When I tried to use it, it crashed. I didn’t install any extension. How do I enable Ropieee’s own extension? Furthermore I see clearly in the log that a ‘Roon extension keyboard remote’ is installed and is trying to start. That’s something which is foreign to RoPieee and interferes. It should not be there. RoPIeee’s extension is enabled in Roon, as with other extensions. 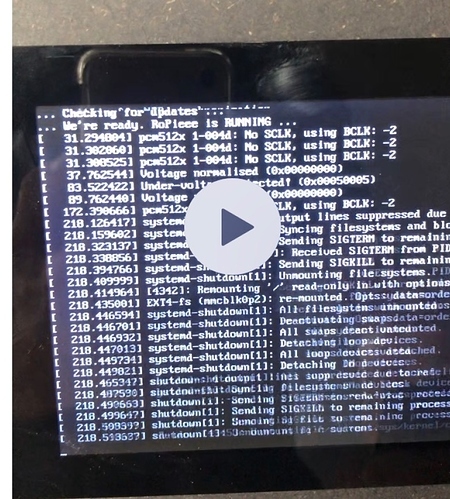 What I mean by crash is - if I press any of the other buttons on the remote nothing happens but if I press the power button the Raspberry Pi crashes hard but does not reboot. I don’t know what other extensions I have installed, I have been trying to get a remote to work for some weeks, so today I reflashed Ropieee onto a new SD card and reinstalled it. I also removed any extensions except the Alarm Clock and the Extension Manager, which I need for the Alarm Clock. it’s not crashing, it’s shutting down. can you start with something simple like play/pause? Ok, had a look at your latest log. It is now not being recognized as an OSMC remote control. Hence the commands like pause/play, volume up/down etc will not work. However, the power button is handled directly hence the shutdown. Do you have a link to the receiver you bought? Is this the Sennheiser I see in the logs? 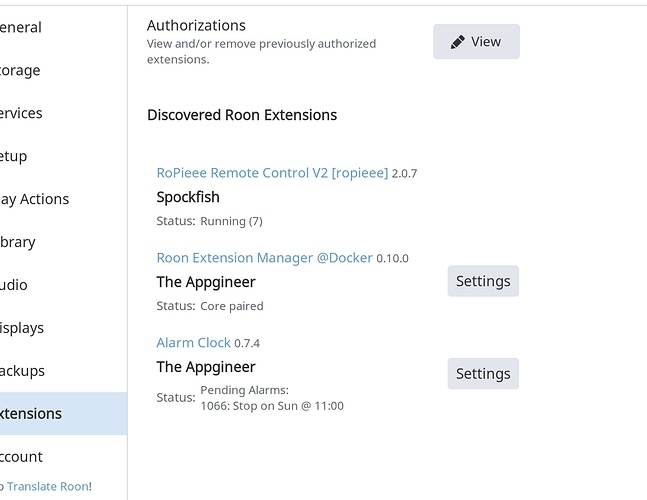 I see that Ropieee now has the Alarm Clock built in, so I have removed the Extension Manager and Alarm Clock, so now there is only Ropieee and the Ropieee Alarm Clock in Roon extensions. I have tried Play/Pause on the remote, but it does not do anything. Can it be that you plugged it in after you configured RoPieee? The detection only takes place when changing the config. So… can you go to RoPieee’s webpage and hit the ‘commit’ button? 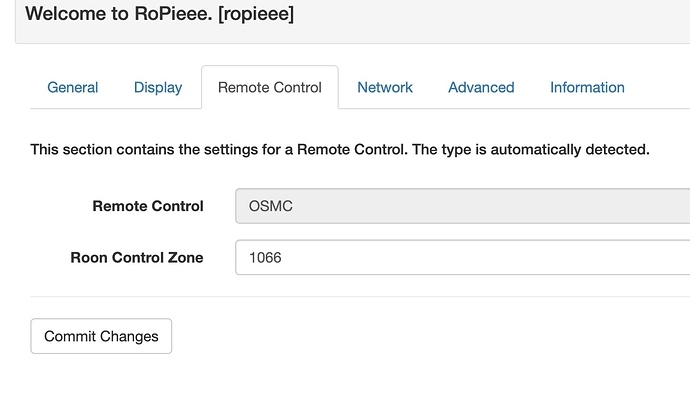 When RoPieee saves it config it will try to detect the remote control. 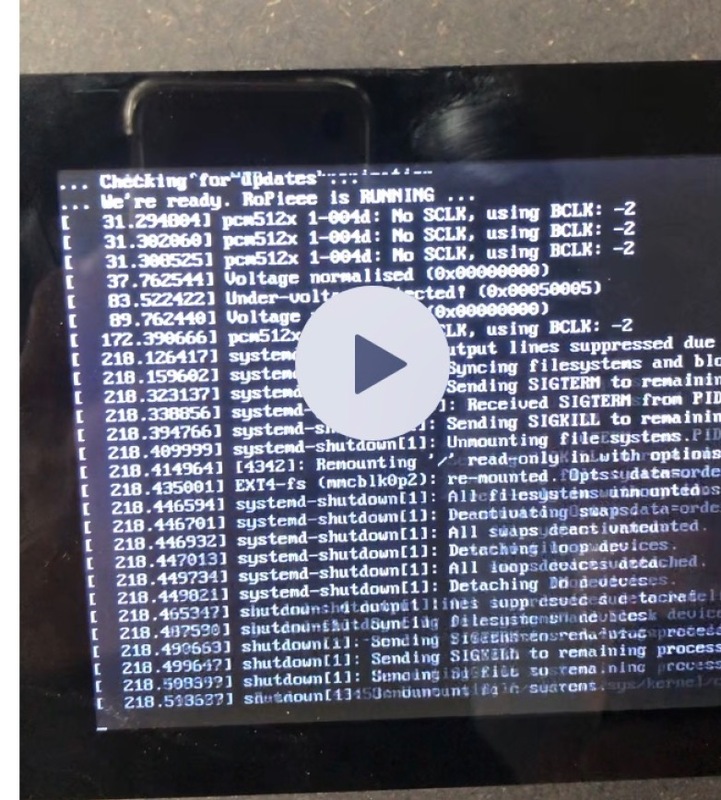 I did that - Ropieee shows the remote as OSMC, but nothing works. The remote is working and paired with it’s dongle, because the power button will initiate a shutdown. Could you login and show me the file ‘/etc/default/inputlirc’? Sorry, the line already looks like that. When I pasted it into the Reply box in Roon it re-formatted it. Now I have worked out how to use the pre-formatted text tag. ok. then i need to look into this further because the config is correct. It is properly detected, but for some reason the service is failing. So to be sure: you’re running a ‘vanilla’ RoPieee: so no tinkering and installing other stuff right? I reflashed Ropieee onto a new SD card yesterday and have done no tinkering since. ok clear. Then I’ll look into it further why this is not working. The USB receiver you have is the standard receiver with the OSMC controller which I have at home as well. Are you willing to do some additional checks if necessary?